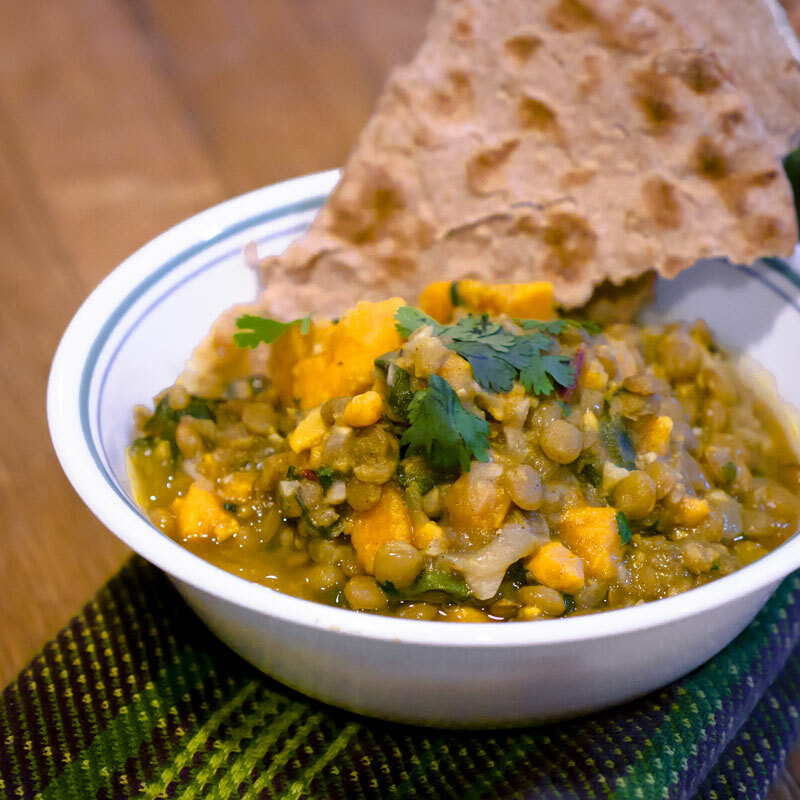 I worked out twice today: once at the gym downstairs at work with the barbell and once making this lentil curry. The amount of mixing and chopping I had to do to make this concoction was a little more than I anticipated (peeling 8 cloves of garlic took me forever). I guess at the supermarket I decided to just double the recipe so now I have two gallons of this stuff left over to tide me over for the rest of the year. Since it’s in the 90s inside with the a/c off to save money, maybe I can close my eyes and pretend I’m in India. Hmm, now I’m kinda wondering how long I can go eating this stuff but they say everything is tasty when you’re hungry. My roommate is pretty good at cooking and he can just throw tasty things together on a whim. I wish I could do that but for now I’m stuck following a recipe (when it says to grate 3 inches of garlic root, I have to get a ruler just to be sure… ). And it called for orange sweet potatoes… isn’t that just yams? There were some items like chard I had to look up to know what they were. I guess I’m a food noob.